In all of my higher education, there was only one class that I dropped rather than face the task of attempting to obtain a passing grade by semester’s end. It was a history class, which had never been a problem for me in the past. I am a lover of stories, and history is simply a collection of significant true tales. My problem with this particular class was the detached methods from the professor, who had little interest in history having any personal significance to his students. It is easy to forget how young the art of filmmaking actually is, and it takes an event like the premiere of The Wizard of Oz in Imax 3D to remind us. The opening night event was held Monday evening at the newly reopened TCL Chinese Theatre IMAX, the same location as the film’s original premiere on August 15, 1939. Among the many guests to fill the 932 seats for this special event was Ruth Duccini, one of the two surviving Munchkins of the 124 in the cast. The Wizard of Oz is the oldest film ever to be converted to 3D and Imax 3D, and I will admit that I had my hesitations over this endeavor. The process took nearly a year-and-a-half, thousands of jobs, and all for an exclusive one-week engagement in just over 300 films in North America, and it took me all of three seconds behind those ridiculous glasses to realize that it was all worth it. The 3D does not attempt to bring much movement off of the screen, but instead gives depth to the picture in a way which brings the audience in without becoming a flashy distraction to the film we love. In many ways it is the restoration which is most impressive, and this format works extremely well in showing the hard work. I feel as though sometimes 3D can detract from the clarity of image, but the presentation of The Wizard of Oz in 3D IMAX was the sharpest I have ever experienced this film. There was so much detail in the picture that it felt as though I was seeing it for the first time. Judy Garland’s freckles, the burlap texture on the face of The Scarecrow (Ray Bolger), the metallic make-up and rivets on the Tin Man (Jack Haley), and the whiskered moustache upper lip of The Cowardly Lion (Bert Zahr) can all be seen like never before in my lifetime. As well as the 95-year-old Duccini, the premiere evening for this special 3D IMAX presentation was also attended by Danielle Wade, who is currently starring in the national tour of the Broadway adaptation by Andrew Lloyd Webber. 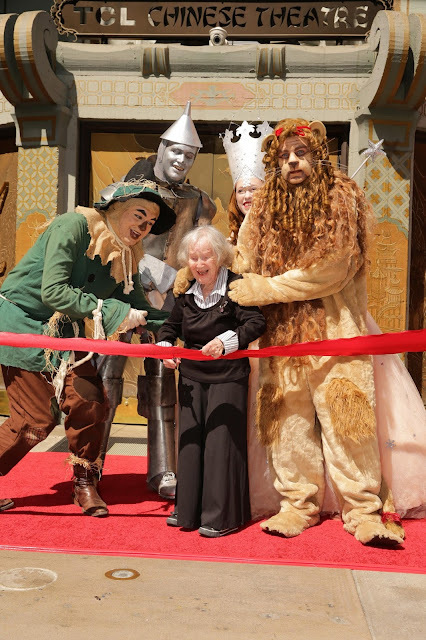 Other guests in attendance included Marcia Gay Harden, Molly Ringwald, Drew Carey, Kevin Sorbo, Ariel Winter, Sierra McCormick, Mario Lopez, and with an introduction by Wizard of Oz historian John Fricke. There was one other special guest; my nine-year-old sister. Watching my sister as she placed her hands inside the cement imprint made by the eight-year-old hands of Jackie Cooper in the courtyard outside what was formerly known as Grauman’s Chinese Theatre, it was clear to me where my university world history professor had gone wrong. His lessons and tests had been all about dates and geography, but history is something you should be able to see and feel for yourself. Sometimes this is only possible with remnants held in a museum, or through our imagination in the telling of a story. We are fortunate to be witness to an early age of cinematic art, where I can still bring my sister to sit in the audience with one of the original cast members from a film released in 1939, and during a time where the technological advances of restoration and an IMAX 3D presentation bring this beloved classic to renewed life. 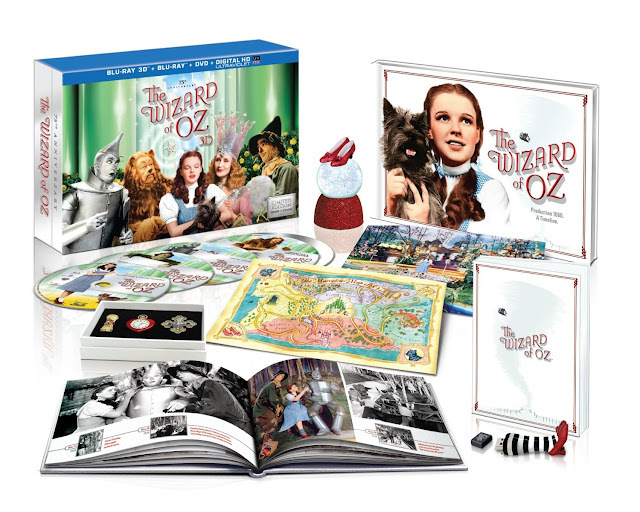 On October 1st, Warner Bros. Home Entertainment will debut a limited The Wizard of Oz 75th Anniversary 5-Disc Collector’s Edition which will include a Blu-ray 3D, Blu-ray, DVD and Ultraviolet versions of the film, along with plenty of new and old special features. 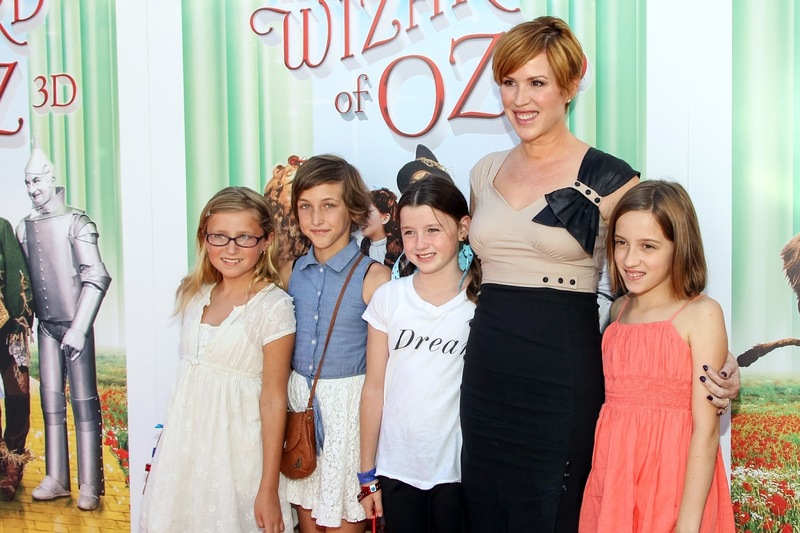 The IMAX 3D presentation of The Wizard of OZ will be available at 300 select theaters for one week, starting this Friday, September 20th.